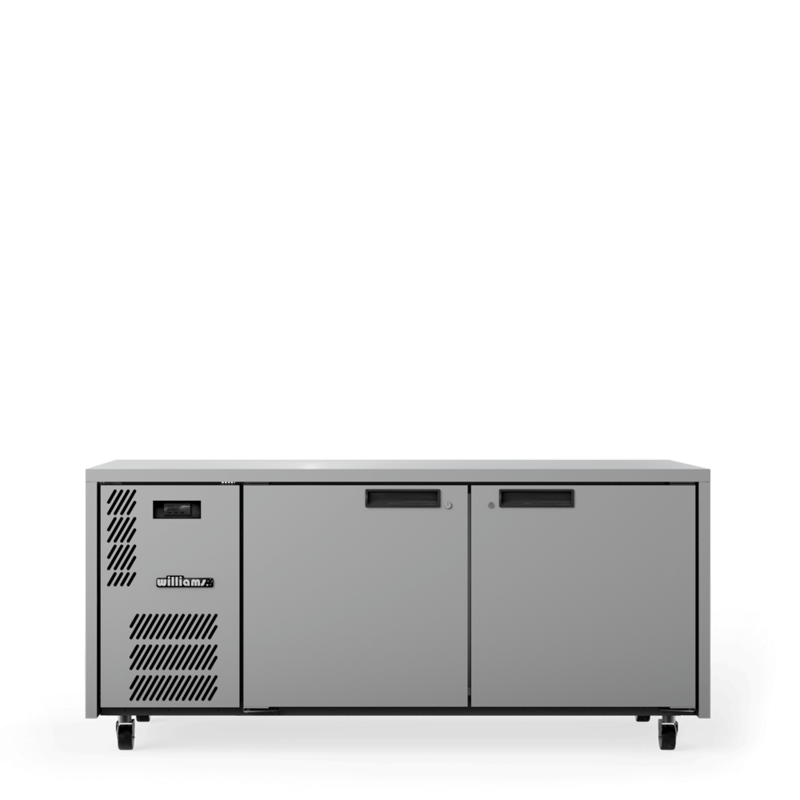 Williams refrigerated preparation counters are essential in any kitchen environment, providing valuable low level storage with effective preparation space. 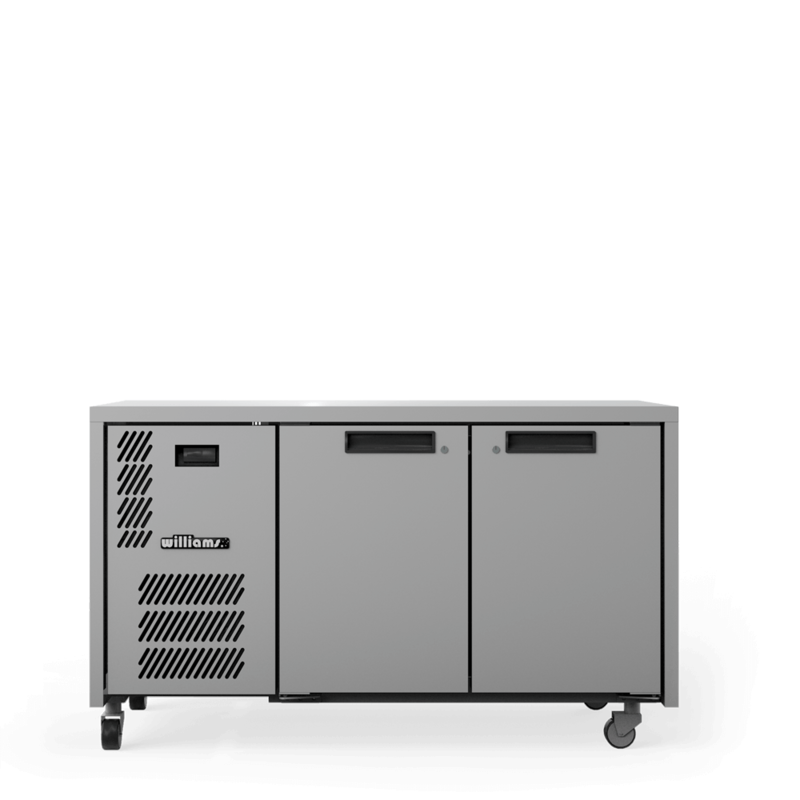 Williams refrigerated preparation counters have been designed to stand up to the rigours of day-to-day operation and are available in 1, 2 and 3 door models and with remote refrigeration systems. 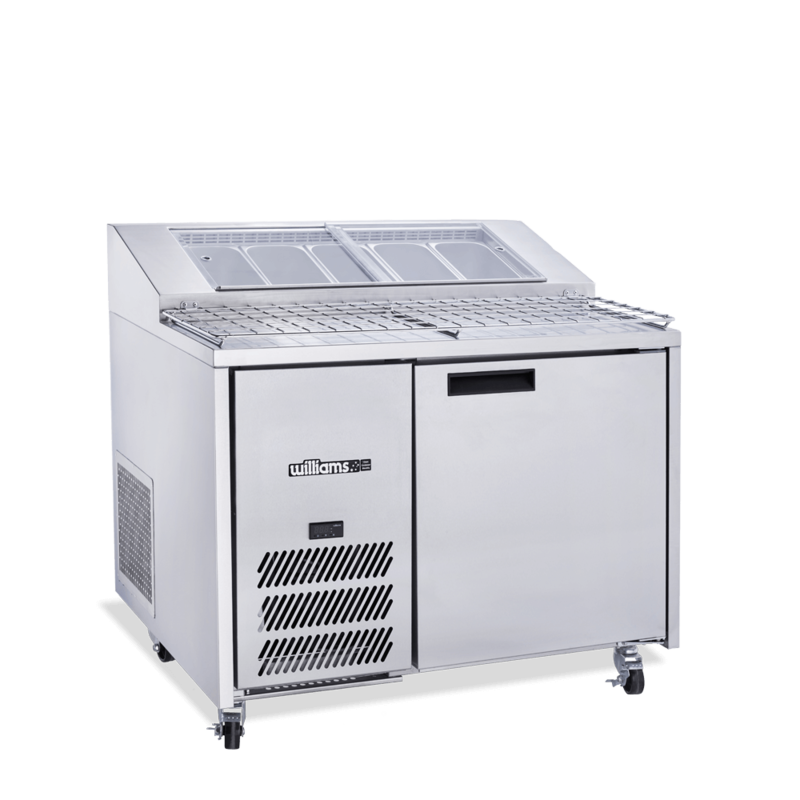 Preparation counters such as the Jade and the innovative Banksia feature a unique airflow design, ensuring consistent uniform temperature across the food pans. Units can be supplied with varying pan sizes and depths to suit your individual requirements. One & two door units with canopy and food display angled towards customer or raised flat top 2 door model. Top mounted gastronorm food pans & under storage. 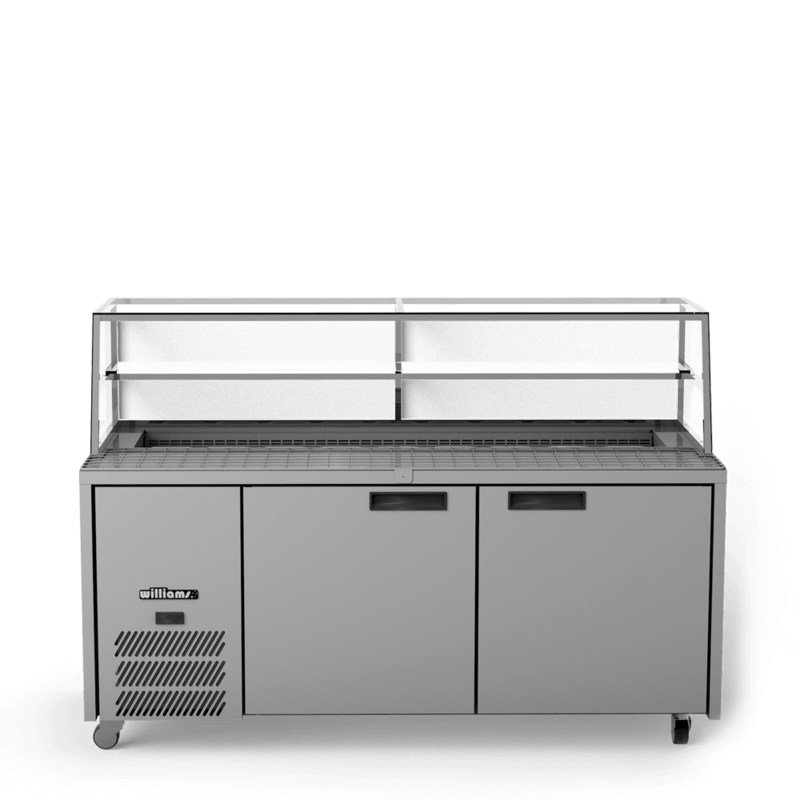 One, Two and Three wide door preparation counters with top mounted gastronorm food pans and huge under storage. 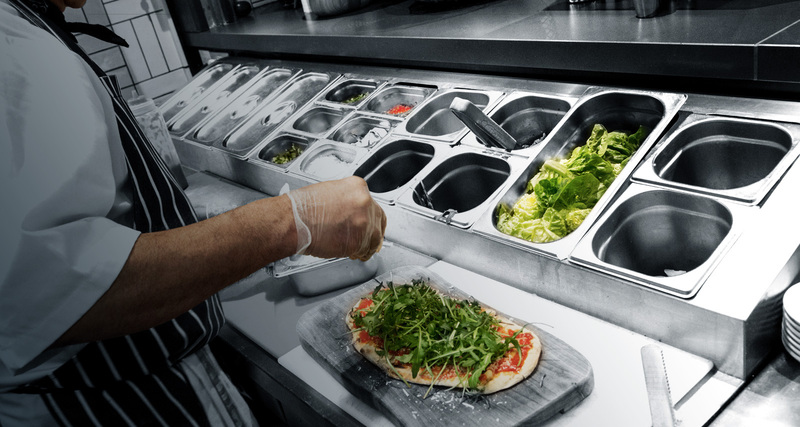 Pizza and Preparation counter with raised ergonomically angled pans in One, Two and Three doors with top mounted gastronorm food pans and huge under storage. 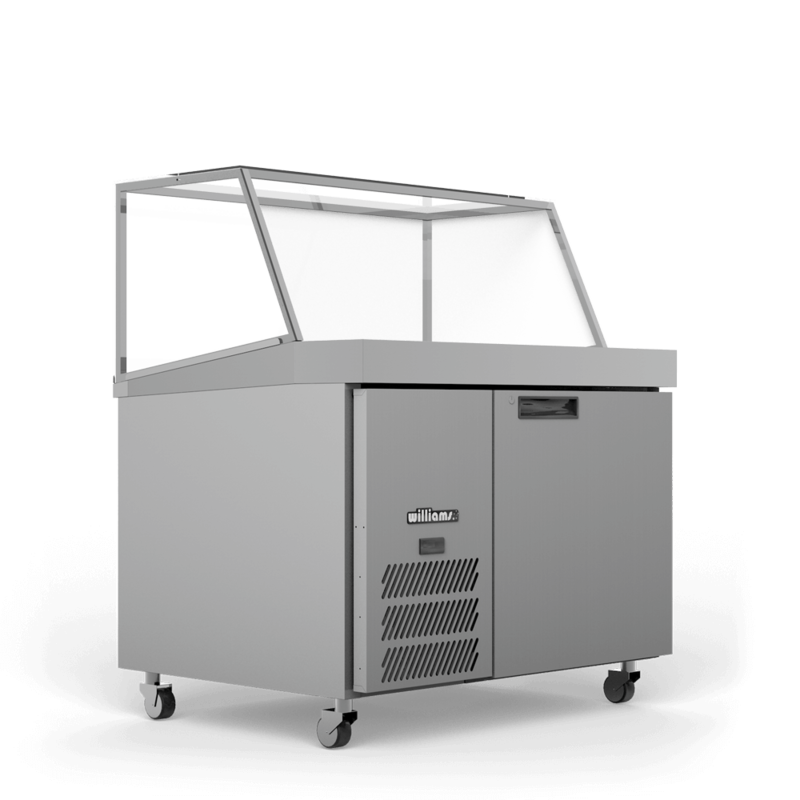 Sandwich and Preparation counter with Canopy and blown air well. One, Two and Three door models with top mounted gastronorm food pans and under storage. Preparation counter with blown air well. One, Two, Three and Four door models with top mounted gastronorm food pans and under storage. 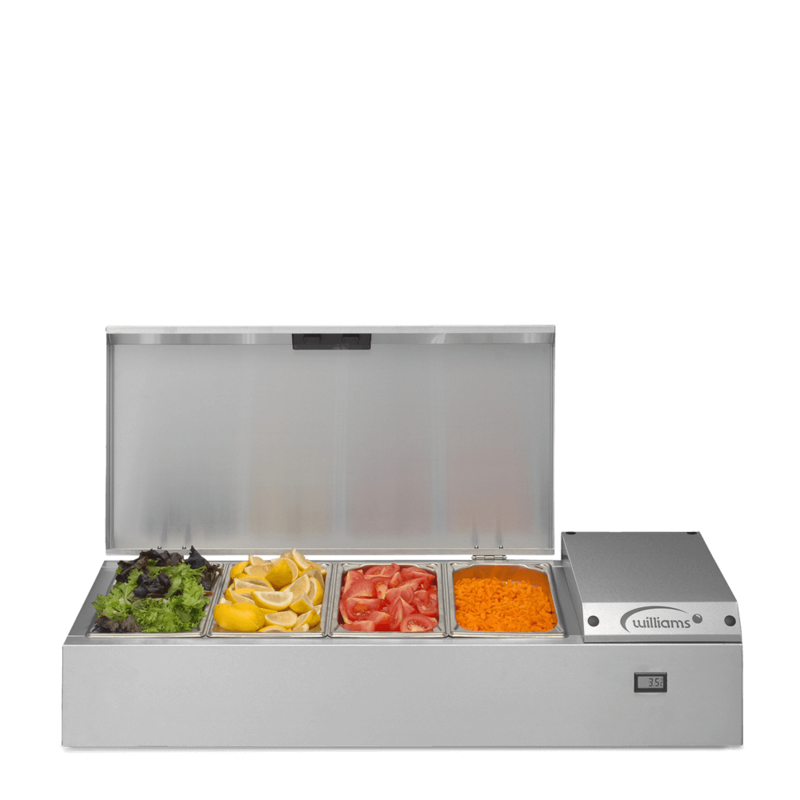 Free-standing countertop preparation well designed to accommodate 1/3 or 1/6 gastronorm pans.